Hashtags member Franco Hernandez died in a drowning incident in Davao Occidental last Saturday, November 11. Amid the shocking news, netizens expressed their heartfelt condolences over the young celebrity's tragic passing. Netizens were shocked to hear about the accidental death of Hashtags member Franco Hernandez last Saturday, November 11. Franco, 26, was declared dead on arrival in a nearby clinic in Malita town after a drowning incident in a resort in Davao Occidental. It's Showtime host Vice Ganda was one of the first to react to the tragic news. He tweeted, "Tragic. This is just so heartbreaking. Oh my God!" He added, "Ito yung pagkakataon na hinihinling kong sana ito ang fake news. Sana lang please." 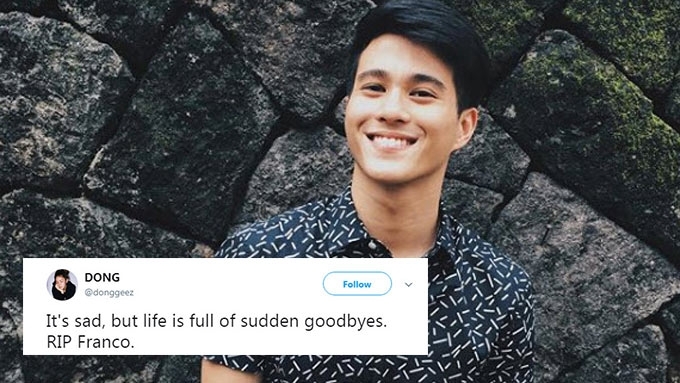 The news of Franco's passing became a trending topic online as netizens expressed their heartfelt condolences and complete shock on their Twitter feeds. It's really hard to believe that Hashtag Franco is gone. Sobrang nakakagulat. ???? 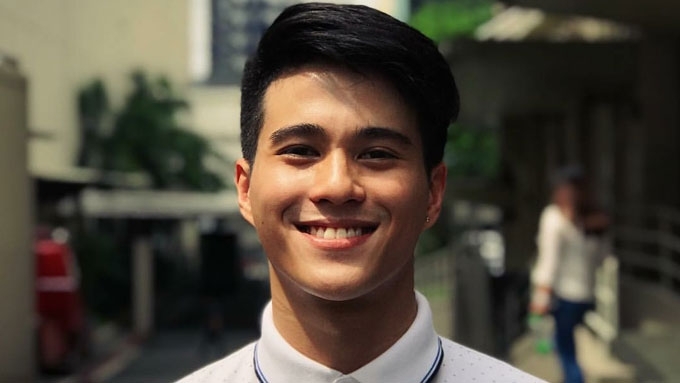 Franco Hernandez' death reminds of AJ Perez. A very promising artist who's gone so soon. Keep dancing up there idol. He is the only person that I admire the most when "Showtime" is on air. How he performs and how he handles himself in front of many people is just simple yet sincere. Franco will always b remembrd as the bibo host of Its Showtime online.This is just so sad. I am just a mere youtube viewer yet greatly disheartened,how mch more to the people around him. Even though not everyone was a fan, people still sent out their thoughts and prayers. Im not a fan of #Franco but why am i so affected? RIP Franco???? not a fan of franco buuut it is so heartbreaking ? Many saw Franco's death as an "eye opener," most especially since his passing happened close on the heels of Isabela Granada's equally tragic and untimely death. Another sad news for the showbiz industry, after Ms. Isabel and now you, Franco. Not really a fan of Hashtag but Franco caught my attention whenever I watch Showtime. May you rest in peace. Franco and Isabelle didn't expected their death. So let us cherish & enjoy every second of our life to the fullest, We may not know when ????? Mis isabel and @Hashtag_Franco death is a proof na no matter who you are, how healthy you are, if it's your time, it's your time. So live life to fullest ?? It was a heartbreaking reminder that life is "full of sudden goodbyes."